You can win a brand new Vivo smartphone by taking a selfie with your favorite Vivo Family Member this Valentine’s day. You can win a new Vivo smartphone by simply doing what most people do on a daily basis — taking selfies. This month, all you have to do is to take a selfie with a photo of your favorite Vivo Family member. You can use any Vivo Family Member photo from a magazine, a poster, and even a billboard. Just be creative when taking the selfie. You then have to post your selfie on your Twitter or Instagram account. On the caption, write a brief and inspired story on how you intend to celebrate Valentine’s day with your Vivo Valentine. Add the hashtag #MyVivoValentine. Don’t forget to like and follow Vivo Philippine’s official Instagram (@vivophil) and Twitter (@vivo_phil) accounts as well. It’s part of the requirements to become eligible. 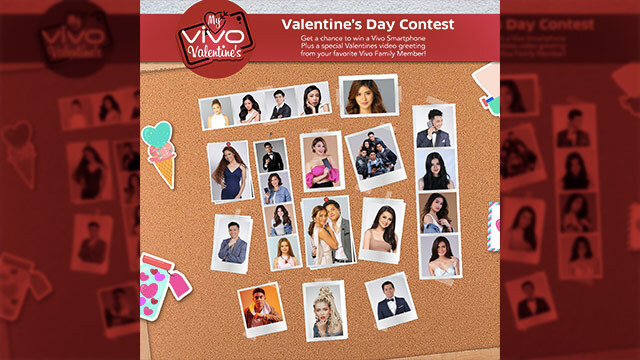 Vivo will randomly pick one winner who’ll win a Vivo smartphone and a Valentine’s Day video greeting from your favorite Vivo Family Member. The My Vivo Selfie Contest will run from February 5 to February 18, 2018. The winner will be announced on February 19.